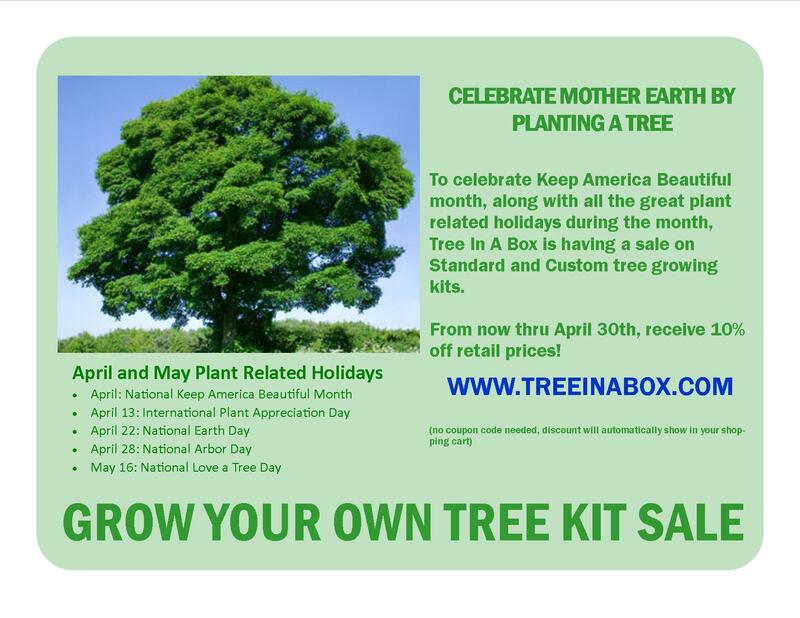 All orders placed now through April 30th will receive a 10% discount on retail prices of standard and custom grow your own tree kits. It is not too late to get your Earth Day and Arbor Day orders in! Show friends, family. customers, and employees how much you care about the environment by giving them a grow your own tree from seed kit. Send a tree growing kit to a friend for their special occasion or just to say "Hello, I'm thinking about you". Got a conference or wedding coming up? Order your corporate kits or wedding favors today to get in on this limited time savings.